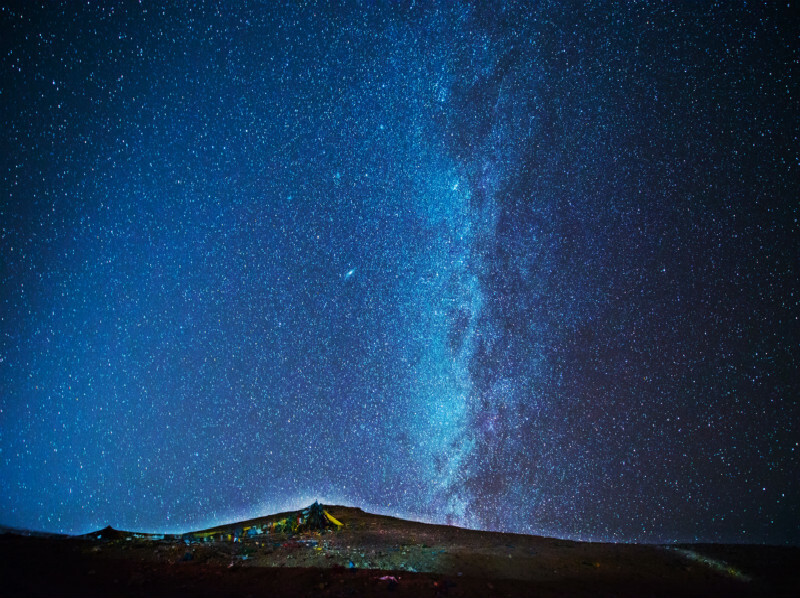 South Silk Road--For thousands of years, only humans and horses treaded the mountains of Southwest China as they followed an ancient pathway through the Chinese hinterlands and the Qinghai-Tibet Plateau. 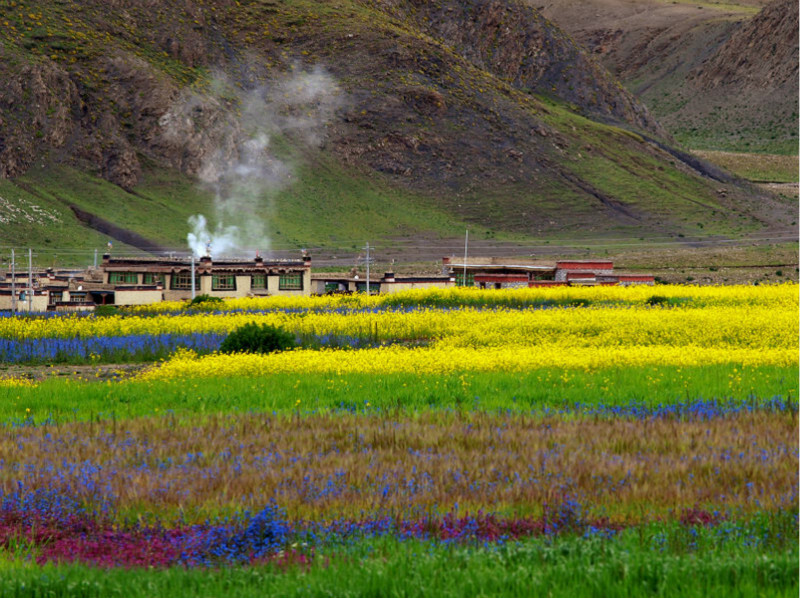 Along the unpaved and rugged pathway that was formed, commodities like tea, salt and sugar flowed into Tibet. Meanwhile, horses, cows, furs, musk and other local products made their way to the outside world. 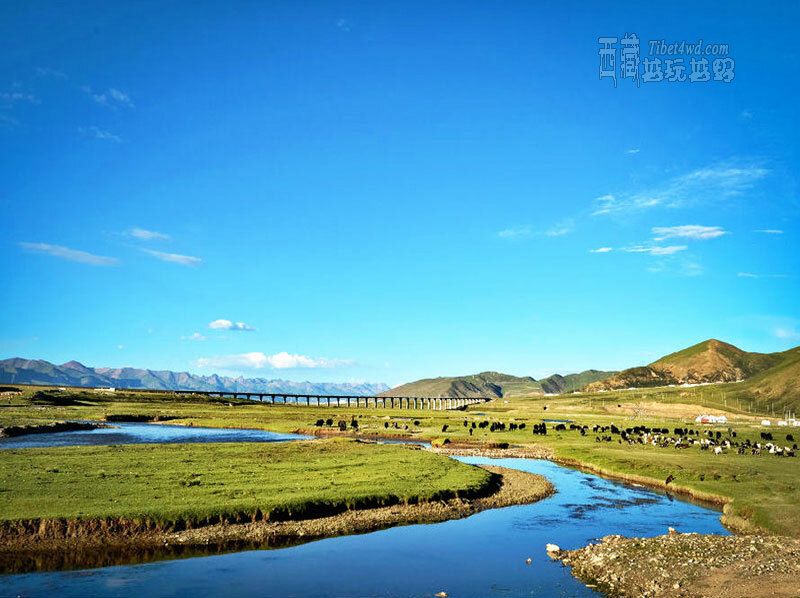 The road was called the tea-horse ancient road, and it stretched across more than 4,000 kilometers, mainly through Southwest China’s Sichuan and Yunnan provinces and the Tibetan Autonomous Region. 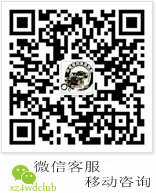 The ancient commercial passage first appeared during the Tang Dynasty (618-907). 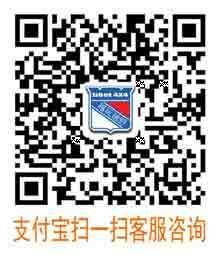 It also experienced the Song, Yuan, Ming and Qing dynasties - or a period of more than 1,200 years. The road promoted exchanges in culture and religion, and saw ethnic migration that closely resembled what was experienced on the well-known Silk Road. 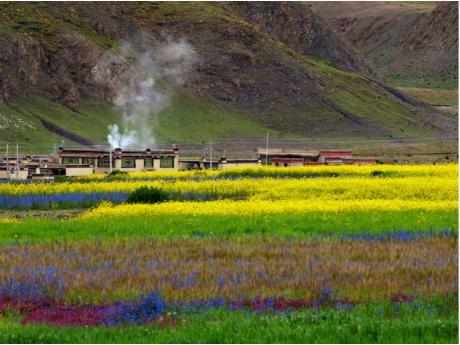 Meli Snow Mountain -- towers over the scene where the world famous Jinsha River, Lancang River and Nu River flow together. It’s a gigantic snowy series of mountains, ranging from north to south. The northern section is called Meri Snow-capped Mountain, the middle section Prince Snow-capped Mountain and the southern section Biluo Snow-capped Mountain. 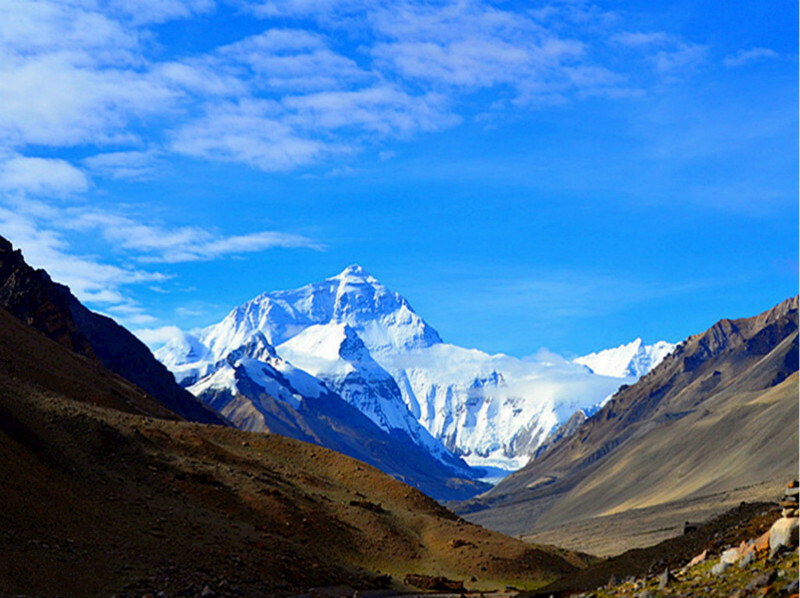 It connects to Mount Adonggeni of Tibet in the north. It consists of a total of 13 mountains higher than 6,000 meters in elevation and known as the “13 Princely Peaks”. 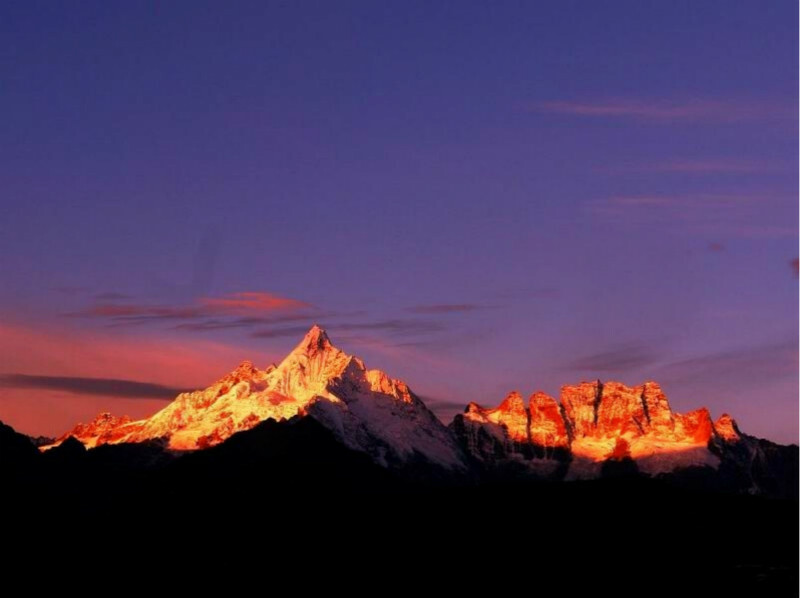 Meli Snow Mountain is famous for its towering splendor and mystery. 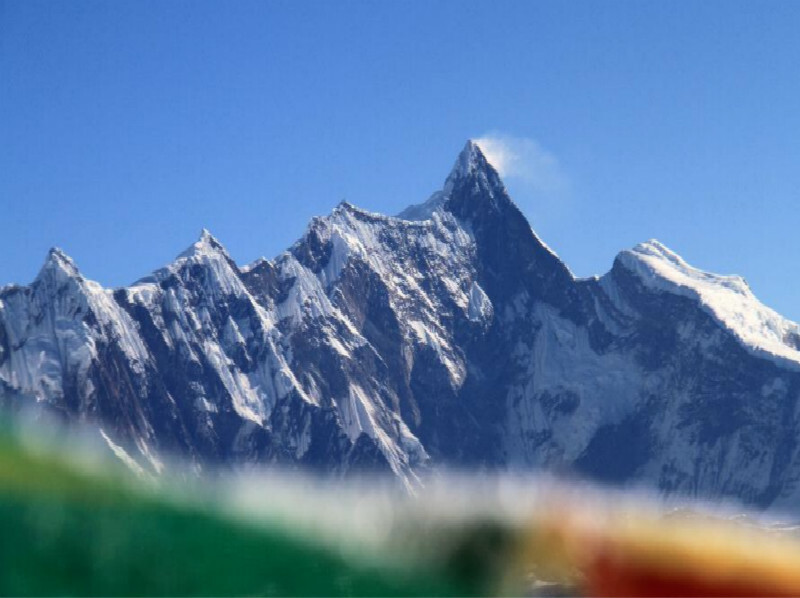 Its main peak, Kagebo, is 6,740 meters in elevation, the highest in Yunnan Province. It’s the guardian spirit of Jiajuba, a branch of the Nyingma School of Tibetan Buddhism. The peak resembles a magnificent pyramid. A floating sea of clouds covers the snow capped mountain with yet another mysterious veil. 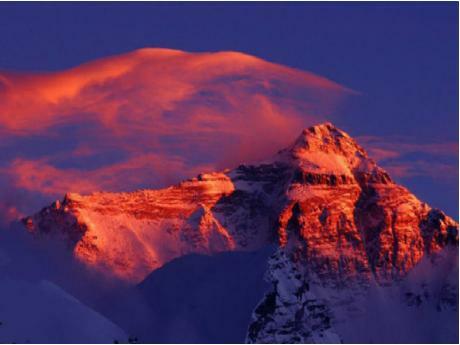 It is referred to as the “god of the snow mountain” and one of the “8 mysterious mountains in Tibet”. 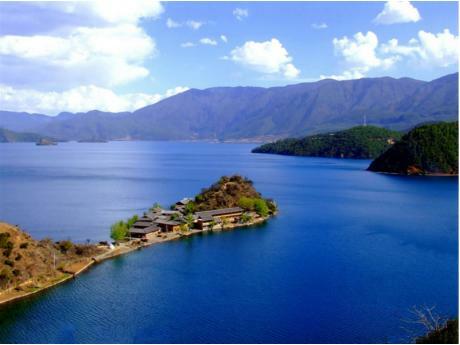 -Yangtze River first bend— The First Bend of the Yangtze lies in Shigu Town, Lijiang. 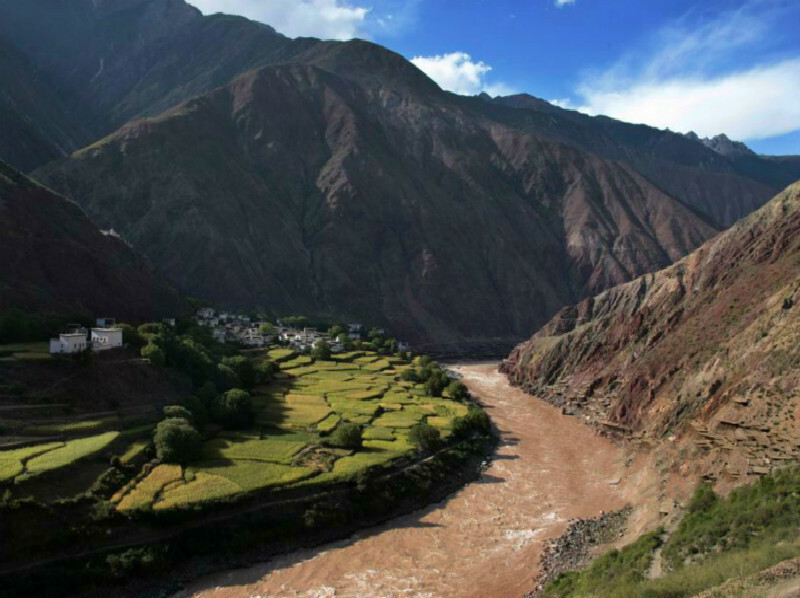 Rushing down from the Qinghai-Tibet Plateau, "the roof of the world", the Yangtze surges into Yunnan from its northwest, where it meets Lancang River and Nu River. 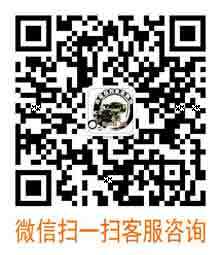 Then, they go together through the high mountains and deep gorges of Hengduan Mountains. Rushing southwards from the Qinghai-Tibet Plateau, the Yangtze is blocked by the Hailuo Cliff at Shigu, Yunnan, which makes it turn roughly to northeast, forming a rare great bay of "V" shape, which is called the First Bay of the Yangtze. According to the geologist, the Yngtze flowed southwards along Hengduan Mountains to Jianchuan and Yangbi Gorge in ancient time; later, land movement resulted in the change of the landform, which forced the river to divert, forming the turn of its flowing direction from south to east. Surrounded by water and mountains, the First Bay of the Yangtze has picturesque scenery, the river flowing slowly in the broad channel, a belt of willows growing along the bank, Yunling Mountains stretching around and enclosing it, tiers of terraced fields entwining the mountain slope, connecting with flat fields and farmhouses, which enjoys a reputation of "mini Jiangnan (south of the Yangtze)". 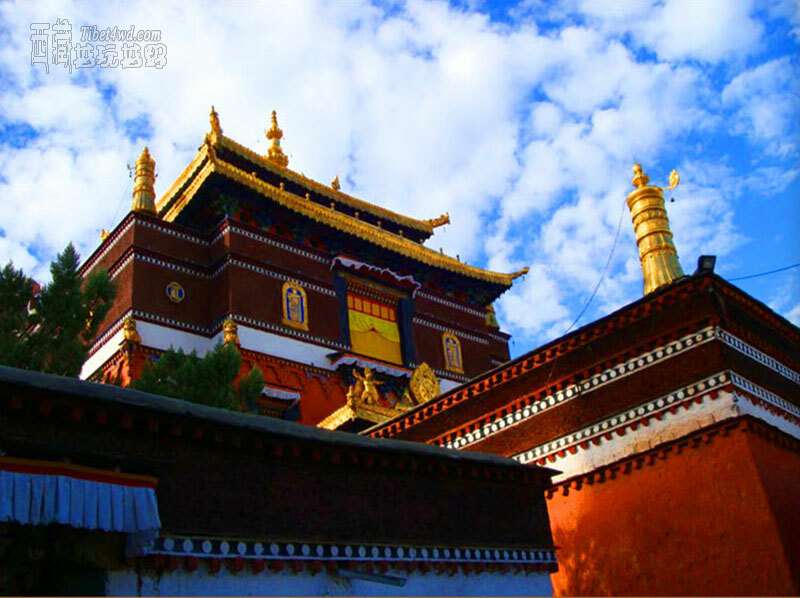 Gadan Songzanlin Monastery—Gadan Songzanlin Monastery is the largest Tibetan Buddhist monastery in Yunnan, is about 5 km north of the seat of Shangri-la Old Town. 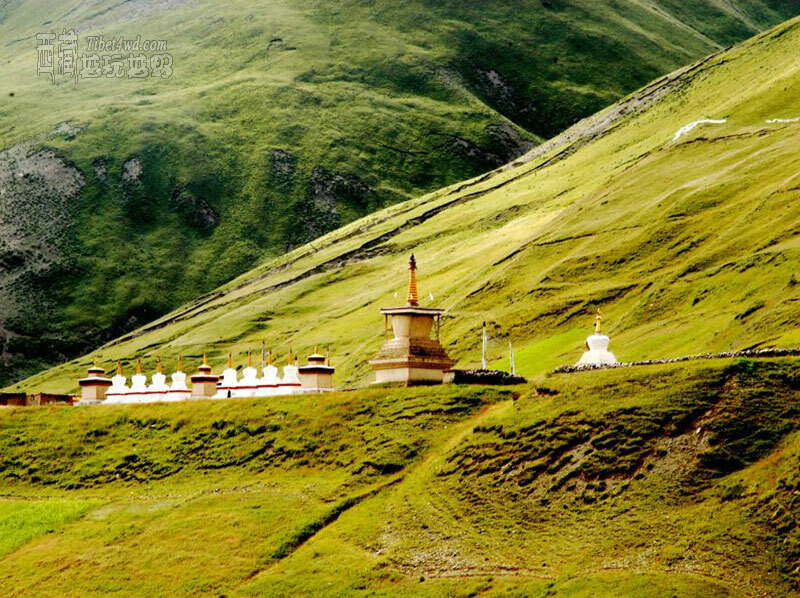 It covers an area of 33.3 hectares and has 700 Lamas. 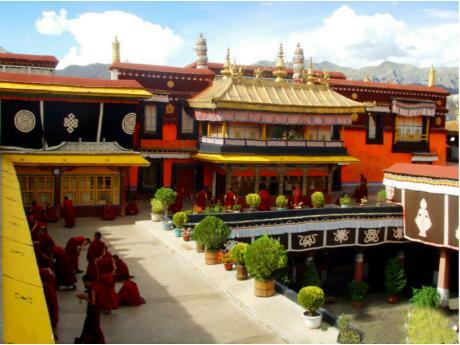 The monastery was built in 1679 at this site selected personally by the 5th Dalai Lama. It took three years to build the monastery. 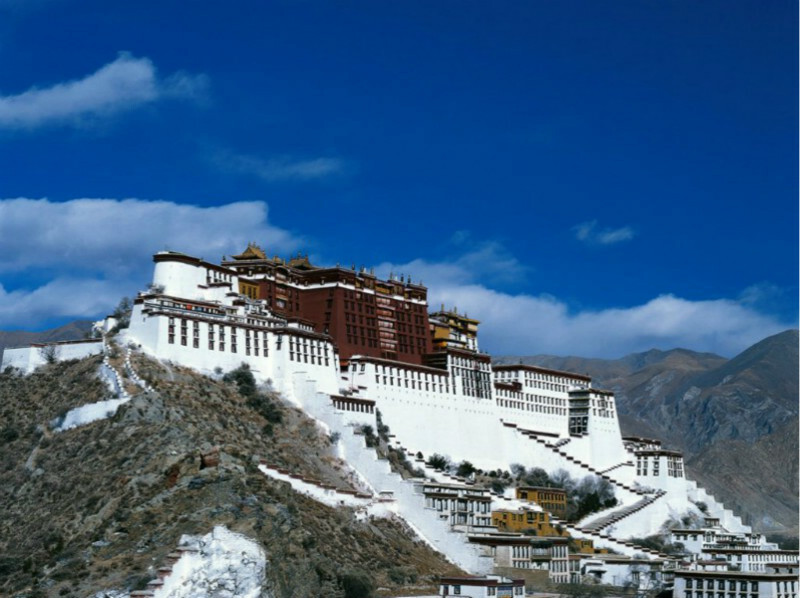 As an imitation of the Potala Palace in Tibet, the monastery is also called “Minor Potala Palace”. The fifth Dalai Lama named it “Gadan Songzanlin Monastery”, Gadan is the Tibetan name for Tusita, the fourth of the six-layered Buddhist heavens. In 1410, Tsong-kha-ha, founder of the Gelu Sect of Tibetan Buddhism, built the first monastery for Gelu Sect in Lhasa named Gadan. 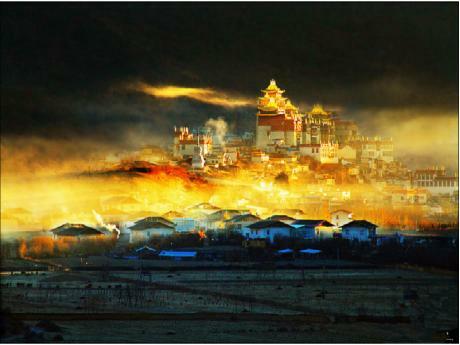 Songzanlin is also a Tibetan expression in which “song” means “three”, “zan” means the “playground for heavenly gods” and “lin” is “monastery”. Emperor Yongzheng of the Qing Dynasty granted the name “Guihuasi” to the monastery and his brother Prince Heshuoguo also granted to it a golden plaque inscribed with “Blessings for All”. 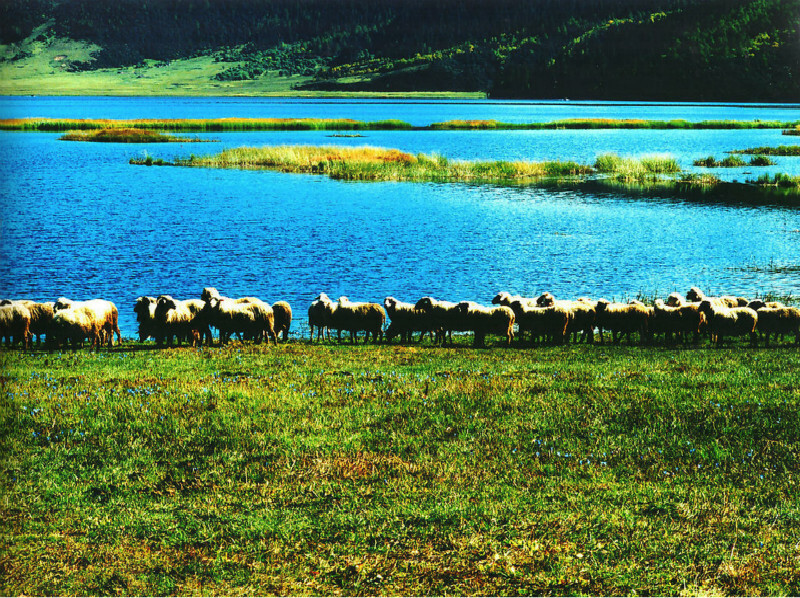 Napahai Plateau Wetland—The Napahai Nature Reserve, at an altitude of 3,266 meters above sea level, is located 8 kilometers northwest of the county seat of Zhongdian. 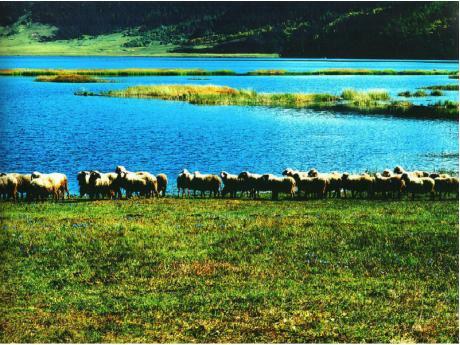 It has the largest grassland in Zhongdian,surrounded by mountains on three sides, with grasslands and lakes which attract many bird species.The water melting from the surrounding mountains and another over 10 rivers flow into the lake after zigzagging through grassland. There are nine caves in the northwest peak. 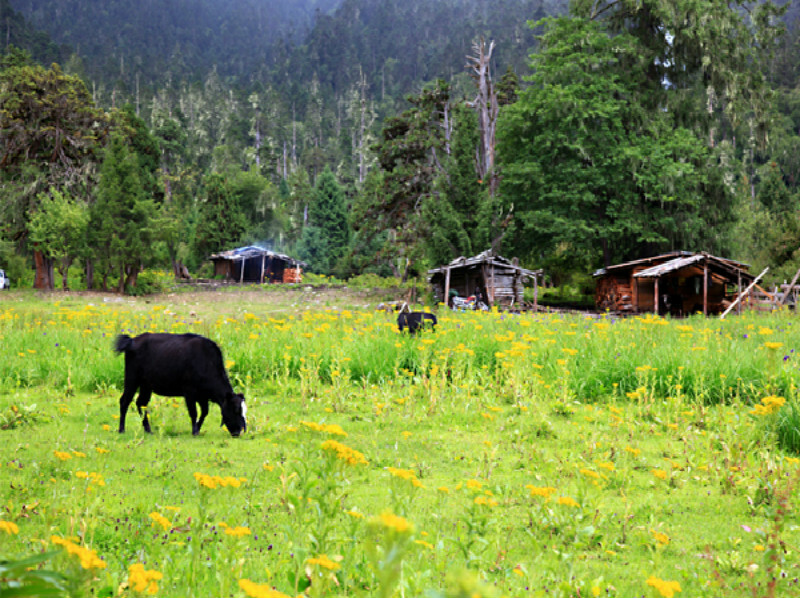 Napahai Nature Reserve is both an ideal grazing field for herdsmen and a paradise for many species of birds. When summer comes, snow on the adjacent mountains melts and flows down into about ten rivers forming a vast lake. 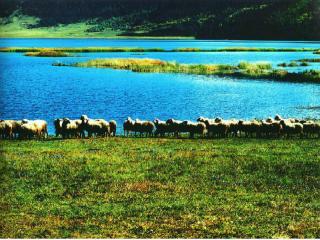 In the dry season, Napahai becomes a boundless green grassland--the best time for herding sheep or cattle. Dongzhulin Temple— Dong bamboo forest temple locate in virtue Qin county run son fence town book loose village Nanning dry top eastern slope on, in distance Dian 105 kilometers, is away from to run son fence 23 kilometers, Dian depository highway from temple after error. New temple building is orderly to look over by order, flat top building is row upon row, tight Ran a town. Locate in center go through hall is four levels of building structural building, 82 suit to hold big column reticular is densely covered, bottom is that completely temple lama recites the place that goes through, let have shelf directly Lu the style of first ancestor Ka Ba and pupil reach Ma benevolent green and a Shi Ban Chan Ke pearl outstanding picture (coarse name teacher pupil 3), both side, it is Sakyamuni and sight lifetime sound, Wen different, general able, Buddha and Bodhisattva pictures. The high 68 two levels of strong Palestinian Buddha metres that moulded recently, the 105 Buddha metres of image height of Sakyamuni Buddha hall, copper quality Liu gold, Buddha crest and former chest mount fully pearl gem, is that Lhasa colour pulls temple to give. Dong bamboo forest temple still collect one is as long as 8.5 metres, 5.2 wide metres large scale Tang card, use colorful silk thread the shrewd law of protecting that woven supernatural picture, hold every year to jump supernatural law can is on display one time, let pilgrim sight service. 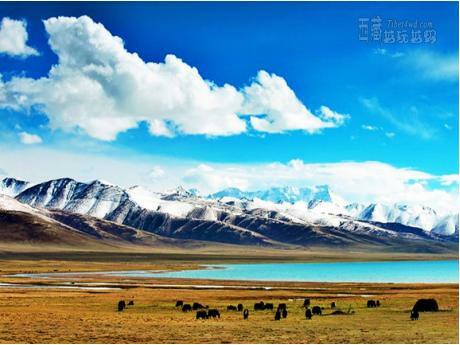 Mingyong Glacier: is located in the Yunnan Province, People's Republic of China, The glacier retreated 200 meters (656 feet) in four years. The region has also seen a rising tree line and these events are believed to be associated with global warming. 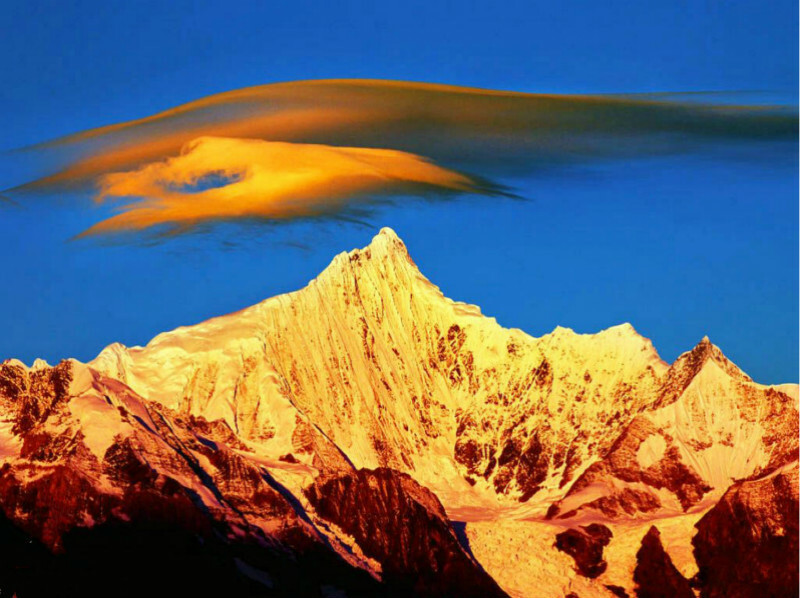 The glacier is sacred to the local peoples.The glacier is fed by snows which fall on 6,740 m (22,107 ft) Mount Meili, also known as the Meili Snow Mountain. 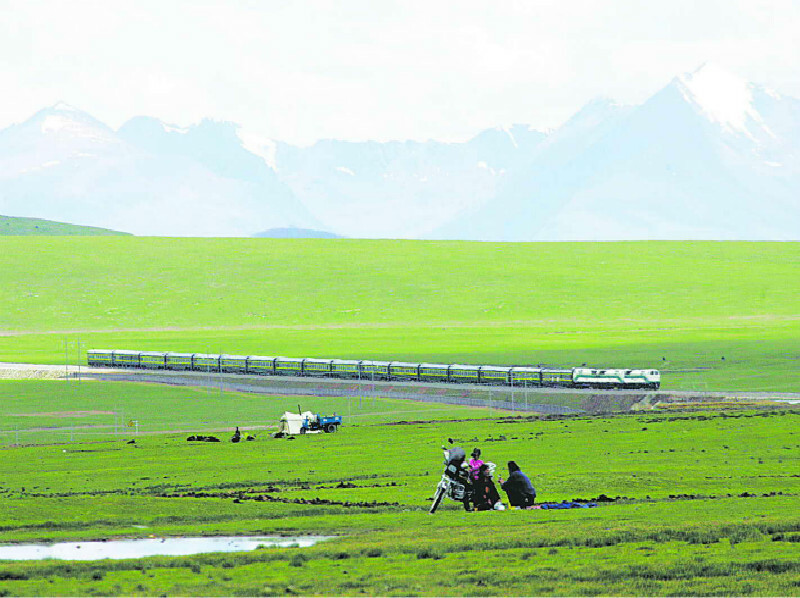 Glaciers in China's Tibetan region are melting at 7 percent annually. At 28.5 degrees north and an elevation of 2,700 meters (8,858 ft), the glacier is located at the lowest latitude and elevation of any glacier in China.